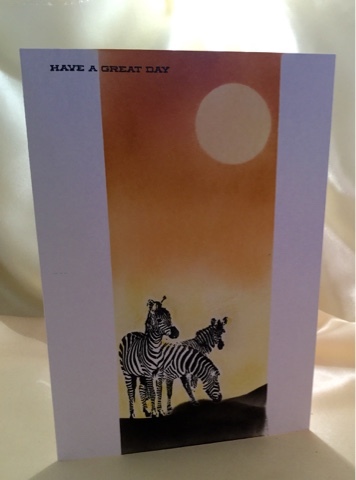 Sarah's incredible masking and sponging, paired with those wonderful zebras, created a striking scene, all in one layer, too! A masterful CAS creation, wild and still serene! Congrats, Sarah, on being my Headliner this week! Congratulations to all our winners, please pick up your badges here. We hope you come back tomorrow for a fun sketch challenge from Laurie! Thanks for picking my card as A Cut Above! It was a fun challenge! Oh, it's my first time playing along and I'm thrilled to be picked as A Cut Above! Thanks so much! Congrats everyone! Great picks ladies! I am so excited my card was selected as one of the A Cut Above cards. Thank you so much for the challenge and allowing us to play along.